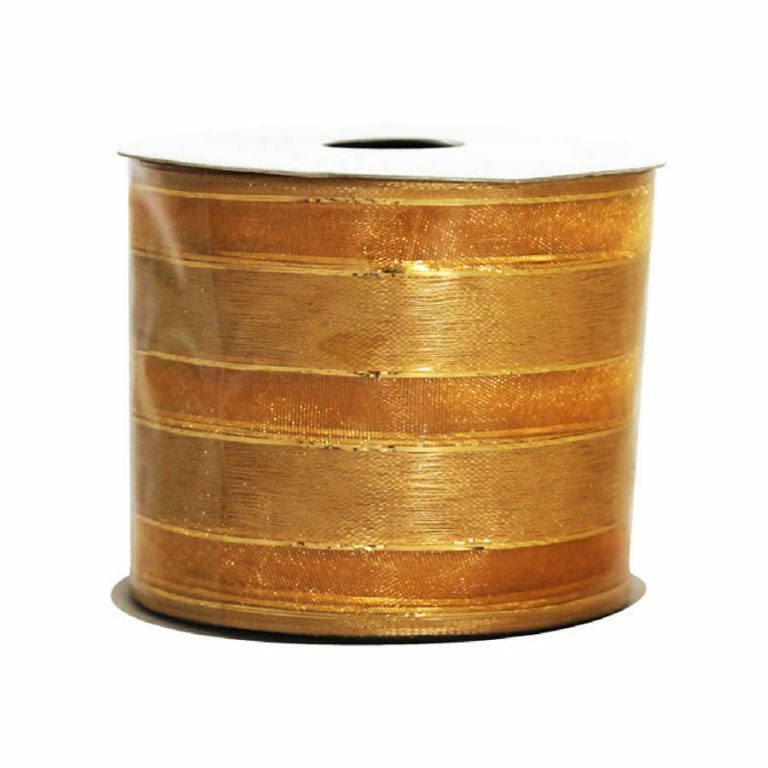 The rippled texture of this Metallic Gold Cotton Ribbon gives it a rich, pleasing feel in addition to its inherent gold beauty. 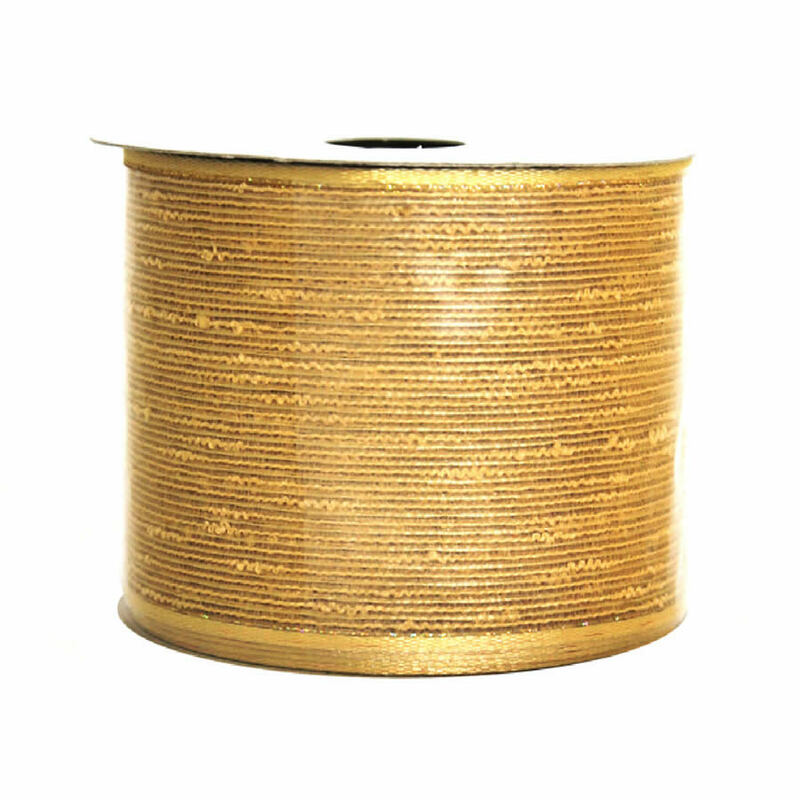 Each spool of ribbon is 9-metres in length and approximately 7cm wide. 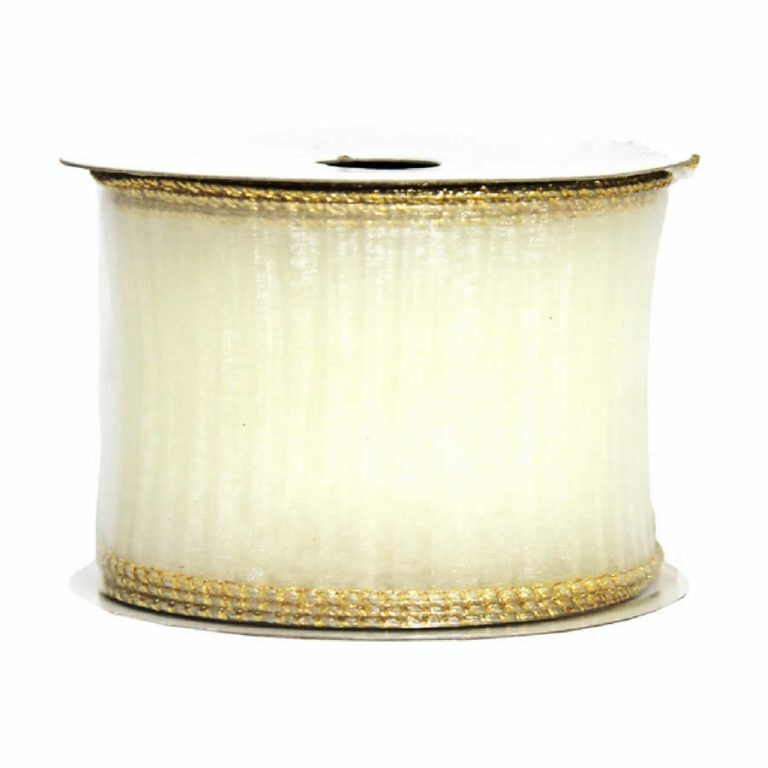 This ribbon would make magnificent bows, and the simple wire-edge ensures that they will stay in place and look better longer. The wire-edge is tucked behind a slim gold braid that is cohesive with the facade of this rich, wide ribbon. 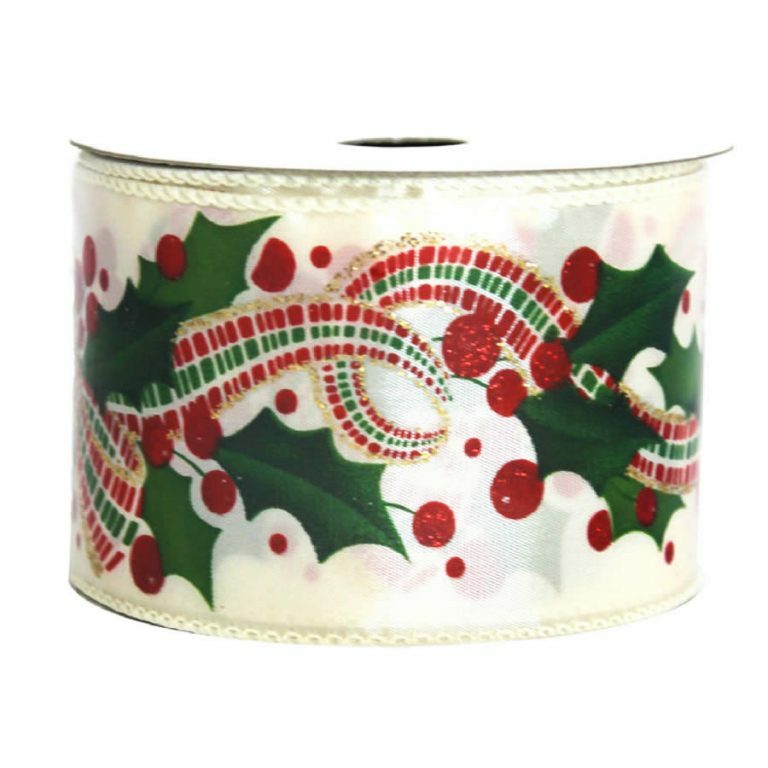 This ribbon would be a wonderful way to finish your Christmas tree, too, and you can simply wrap the tree in this lush ribbon from top to bottom. The look is contemporary and stylish, giving your holiday decor a bit of a polished look. 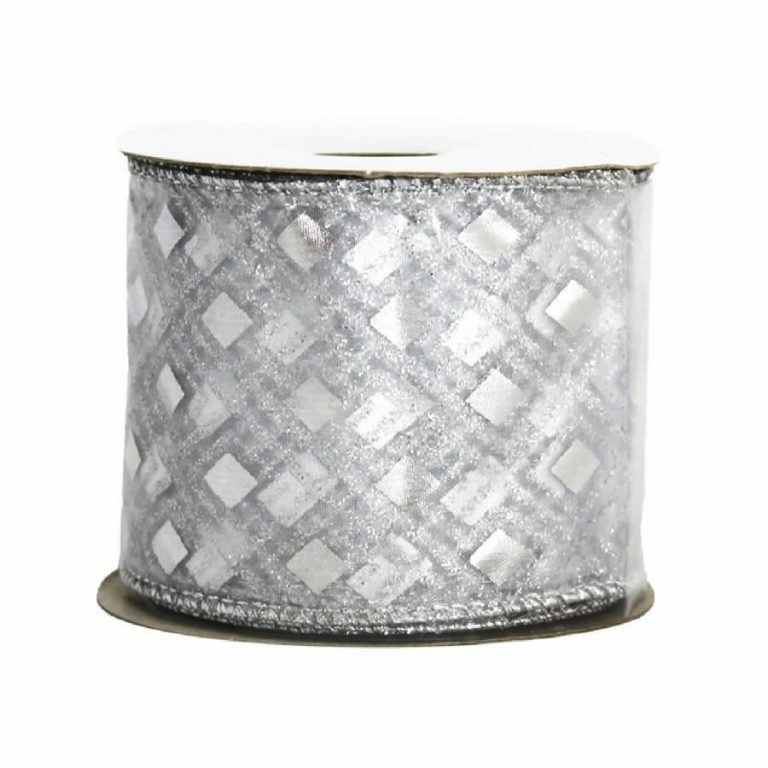 Keep a roll of this ribbon on hand and you will be able to instantly dress-up an accent, arrangement, or centrepiece with a beautiful bow, trim, or embellishment.